Are you looking to add more space to your current home? Or do you want to create more livable space to enjoy? At Distinctive Contracting LLC, we understand that most homeowners want to balance home addition costs while maximizing their home value. We strive to provide quality craftsmanship at reasonable costs to maximize your investment. Adding a home addition is a wonderful opportunity to increase the value of your home while adding more space to improve your quality of life. A typical master suite, enclosed porch, kitchen, bathroom or family room addition allows you to recoup from 50-78% of your costs in the Cape Coral and Fort Myers area according to the Remodeling 2015 Cost vs. Value Report. 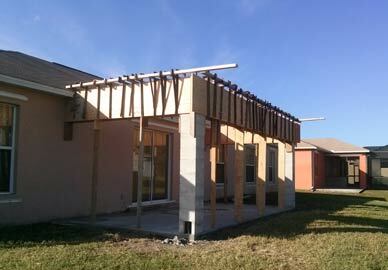 To view the home remodeling report click here. To download the home remodeling report click here. Architectural details and design can help make the difference when adding a room addition to your home. We strive to have your project feel like it was built with the original home by paying attention to the details and doing it right the first time. Curb appeal is always important for resale after remodeling. When designing your new space it is important to decide the primary objectives for your custom home addition. If you plan to build a family room addition think about the types of family gatherings you would like to hold to ensure your project accommodates the dynamic needs of your family and friends. • How does your family enter into your new space? • Do you prefer an open area or a space with more privacy? • Think about how comfortable the space will feel when no guests are over. • Think about how you want to place your furniture and the flow within your space. • Do you want the family room to be open to the kitchen? • Does the family room provide options for seating without inhibiting the host’s kitchen workspace? • How many electrical outlets do you need? Do you need any electrical outlets in the floor? • What type of lighting is appropriate? • Do you need space to accommodate a large TV and a speaker system? • Do you need a bar or snack area? Adding a master suite addition to your home can help you create space for a growing family while giving you the privacy you desire. Here are a few things to keep in mind when designing your master bedroom or suite addition. • How much closet space do you desire? • Does the entrance into the master bedroom provide some privacy from the main living space? • Do you want space for a sitting area or alcove? • Do you desire custom built-ins? • What is your view? • How much natural light and windows do you want? • Do you need French doors leading to the outside? • How many electrical outlets do you need? • What type of flooring and finishes do you prefer? • Can closets be placed in areas to provide sound barriers between your room and the main living area or on walls shared with other bedrooms? • What features do you want in your master bathroom? Common other master bathroom features include a double-sink vanity, separate soaking tub and walk-in shower. • How do you plan to use the space? • Do you need space to accommodate dining furniture or lounge seating? • Do you need an outside bar area? • What direction do you want the porch to face? 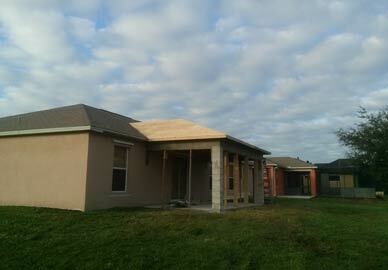 • Do you want the space to tie into your existing roofline and architectural style of your home? 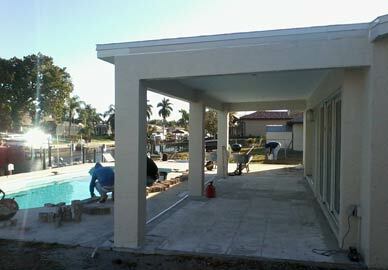 • Does the space need to open up to a patio or pool? • Do you need electrical outlets? • What type of flooring do you desire? 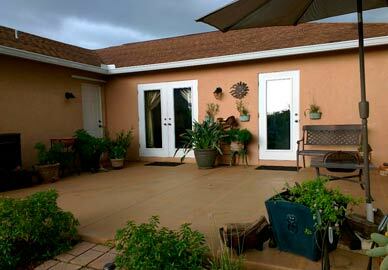 • Does the space need French doors or sliding doors leading into your home? Home additions require detailed planning in order to accomplish all of your objectives. At Distinctive Contracting LLC, we can help guide you through the planning and decision-making process. In addition to planning your space there are many other aspects of your room addition that effect costs depending on the complexity of your construction project. The quality and craftsmanship of your project begins from the ground up and we are here to help you navigate through the remodeling process. • Architectural & engineering services to ensure your home addition is appropriate to the existing house style and up to code for the area you live in. At Distinctive Contracting LLC, we listen to your needs, set a budget and complete your project beyond your expectations in a timely manner. We believe in treating our clients like family. We look forward to adding you to our family of satisfied customers. 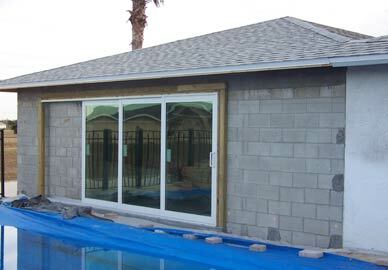 Contact us today to discuss your home addition project.